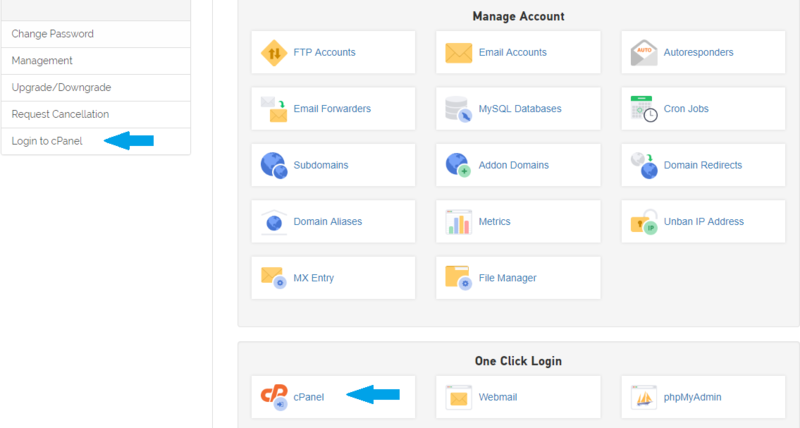 There are two ways to log in to cPanel. You are able to log in directly using the link, username and password that was sent via email upon signing up or you can log in via your Customer Zone. Click on the “Manage Product” option next to the package you wish to access. You can select one of the two options to login. The username and password is something we would have automatically sent to you upon signing up. The password will have to be changed to something else you prefer and the username will be visible below the domain name.